Egypt Travel Tips Currency in Egypt Please note Throughout this page, the currencies referred to are as follows $US, £UK (sterling), Euros and £E (Egyptian Pound). The Currency in Egypt is the Egyptian pound ( referred by LE – Livre Egyptienne) and it is divided into 100 piaster. 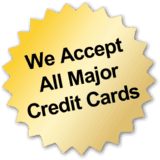 Note: Most of the major credit/debit cards, such as American Express, MasterCard, Visa, all Euro cards and JCB, are widely accepted in various hotels and shops. If you want to use an ATM machine, they mostly accept Visa, MasterCard and Cirrus cards. If you can’t find an ATM machine in your vicinity, you can still obtain cash if you go to any of the Misr Bank branches. Banks are unwillingly to accept $100 notes issued before 1992. If you wish to convert your currency, you can use $US, £UK or Euros, as they are accepted in many banks and other places. TIP: Don’t change your $, £ or Euro until you arrive in Egypt – the conversion rate is much better here! Please don’t bring Scottish pounds, Irish punts, and New Zealand dollars etc. as they are not accepted in Egypt! You will find plenty of banks at the airport and several foreign currency exchange offices. Your duty free goods must be purchased within 48 hours after arrival. If you at any point during your tour, run out of money, and your credit cards are not accepted, you still can get money wired to you from abroad. In Egypt, there are plenty of Western Union branches; it takes just a few minutes to get any sum of money sent to you from abroad. -The East Delta Bus Company covers the Sinai Peninsula and the Canal Zone. -The West Delta Bus Company serves Alexandria, north coast, Siwa Oasis and the Nile Delta towns. The electricity current is 220 volts, 50 Hz, and uses round-pronged plugs. North American and other non 220-volt users are advised to bring a converter! Cairo airport is located 22Km to the south east of the centre of Cairo. The trip to, or from, the airport should take around 30 – 45 Minutes. So dear traveller, make sure to leave your hotel at least three hours before your departure time! There are threeTerminals at Cairo airport. All Egypt-Air and domestic flights depart from Terminal one, while all other airlines depart from Terminal two. There is no departure tax levied – at the moment! However, starting from next October, a new tax will be implemented. You will not pay it directly as it will be included in the price of the ticket. If you fly with Egypt Air, or have connection flights, it is recommended that you confirm your flight, at least 48 hours before departure, it is very important to do that. If you are staying in a good hotel, the guest relation, or reception, should be able to do this for you if you wish. – Terminal 2 has been closed to undergo a complete renovation and upgrade of its capacity. During that time the airlines will be operating from T1. -Please check with your Airline which Terminal you will depart from / arrive to. -Cairo airport provides WiFi services in its Terminal without any charge to passengers. For flight inquiries please dial 090077777 from any Landline or 2777 from any Mobile. You are allowed to bring only 250 grams of tobacco, two cartons of cigarettes, one litre of alcohol and personal stuff. If you are planning to bring your own pet, make sure you have a veterinary health certificate, which should include a valid rabies certificate. 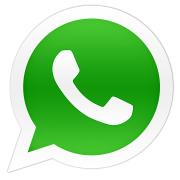 To call any country outside Egypt, dial your country code, then city code then number.To call Egypt from abroad, the country code is 002. If you have friends calling you from North America or Australia while you are in Egypt, tell them to dial 011 before dialing country code. The best and the cheapest time to place your call is after 2000 (8:00PM). If you wish to make an international call simply buy a Mena-Tel card, (will cost you about 20 LE) and it should give you around 3 minutes of calling time to any place in the world. You may make the call from the many yellow phone boxes in the streets around your hotel. If you wish to purchase a mobile phone Sim Card for your visit, Both Mobinil and Egypt Vodafone offer a Tourist line for only 60 LE, it will give you an Egyptian number so that you can make phone calls, your friends and family can reach you, and it will save the roaming charges. Egypt as a tourist cannot be compared with other countries. Things are cheaper here. Even entry fees to the sites are cheaper than many other countries. Flying to Egypt is cheaper from many tourist destinations around the world. Nowadays you can even get an organized package trip for $500 with accommodation! Often I will advice travelers to avoid getting taxis to tour the sites. What do you expect from a local taxi driver, who cares nothing but how much you will pay him at the end of your trip? This is the job of a travel agency, or a local licensed guide to do. Today there are so many travel agencies in Australia and the UK that offer very cheap trip they are very well organized. You picked up the choice to do it on your own! Then you must be prepared. To help first time travellers to Egypt. If you want to dine out, then you must know where the recommend restaurants are, and where you will find the clean healthy food. Don’t consider the price, even if you dine in a 5 star hotel, it is still cheaper than in your own country!Independent travel, for your 1st experience, is not advised. I have explained elsewhere about how “Lonely Planet” gives the wrong impression. I have spoken to many people who have tried it this way, and wish they had gone as part of a group (I do not mean a package holiday – groups can be arranged when you get there!). First and foremost, prepare yourself for a culture shock! Many seasoned travellers are amazed when they first visit Egypt, and find that it is unlike any other country that they have previously visited! Have a look at the Nile Valley Travel forum to get more hints and tips from other travelers. If you have any questions before your trip, ask on the forum, no matter how trivial you may feel the question is. Do not rely, solely, on travel books such as Lonely Planet and Rough Guide. Though they do give a lot of good information, they do not explain everything, or how to help if you get into problems. Too many people have come to Egypt armed with one of these books, and have left, totally disappointed with their trip, vowing never to return again! If you are travelling alone, or in a couple, and wish to organise everything yourself, please let the hotel know your plans before you leave. If you should get lost, the hotel will be able to act on your behalf! Also, take a note of the hotel’s name and telephone number, in case you do get lost, or change your plans. If you wish to organise everything yourself, be prepared for the occasional “rip-off”. Like many other tourist destinations, Egypt has its “wolves”, those who prey on unsuspecting travellers. Often the total cost of an excursion can be a lot more than if you had arranged it through your hotel, or a travel agent, and a lot less enjoyable. Never drink the tap water! It is okay to wash, shower and clean your teeth with it, but not advised to drink. In Egypt they drive on the right, be careful when crossing roads. Take special care in Cairo, where the traffic is a lot busier than in other Egyptian cities – especially outside the Egyptian museum! UK and Japanese travelers should be extra careful, as you will be used to traffic driving on the left. Get your entry visa at your destination airport; it often works out cheaper than getting it at home. Also you can exchange your $, £ or Euro at the same time – the conversion rate is far better in Egypt! Get to know the other guests in your hotel, many of them will give you advise about what and whatnot to do. They should also be able to tell you where the best restaurants and bargain centers are; no one will knowingly recommend a bad place! Ask your hotel’s reception desk for help and/or advise. They will know the best taxis, tour companies etc. and will let you know. Some hotels can also take bookings for excursions. Do not be scared of being part of a group for excursions. These groups have leaders (a tour guide and/or Egyptologist) who will help with problems, explain about the site you are visiting, arrange transport (if necessary!) etc., things you would find difficult if you tried it alone. You will also find that you will get less hassle if you are part of a group! Many traders will not approach a group of people, but they will approach a lone traveler or a couple. When you pay for a group excursion, the price includes everything except for tips (sometimes admission prices are not included). This includes transport, a driver, a tour guide, tolls etc. Some longer excursions may even include a stop for lunch (often included in the price too). Many will take you to places where Ancient crafts are still practised, giving you the chance to buy good quality merchandise at low prices. Buy (and drink) plenty of water. You will find it a lot cheaper to buy in the various shops, than buying at your hotel or cruise boat. You may not drink a lot of water at home, but make sure you do in Egypt. It is very easy to become dehydrated if you don’t. Remember that Egypt is a 3rd world country, and has many poor people who think that all tourists are rich, no matter where they come from in the world! Learn the phrase “La Shukran” (No thank you!) and don’t be afraid to say it to anyone who tries to sell you anything, or asks for “baksheesh”. Believe it or not, it does work. Please do not say “Emshi” (as many tour books advise), this can be taken as an insult. If you forget the expression “La Shukran” just politely say “No thank you” and walk away. Don’t get abusive to the trader; he is only trying to feed his family. If you feel that someone is being too pushy, let a member of the Tourist Police know. You will see them everywhere in Egypt and their job is to protect you. You will find that many tours (especially to the desert sites) are done either early morning or late afternoon. The reason for this is because of the heat in the middle of the day. If you do want to visit sites independently, please try and follow the example of the experienced tour organisers and avoid the midday sun! Be prepared for delays when entering some sites. Because of the threat of terrorism, you will have your personal belongings (camera bags, carrier bags etc.) searched before gaining admittance. Though this is annoying, it is for your safety! Also, on some sites, they may find video equipment, which they will take from you. Don’t worry you will get it back! It is just that certain sites do not allow video’s to be used. Take a small, pocket, flashlight with you when visiting the sites. Many tombs, temples etc. use the natural light for illumination (including a local with a large mirror, reflecting the light!) and a small flashlight can be very handy. A small mirror, such as the one in a ladies make-up, can also be used to highlight a relief. Please Note: Do not take one of the really bright halogen torches, you could cause damage to the monuments! Once developed for cleaning the parts underneath a babies nappy / diaper, “Wet Wipes” (the small, damp, tissue usually bought in a plastic tub) are becoming more and more popular with adults. They are also very useful when travelling in Egypt. When you have felt the relief’s in a Temple, touched the hieroglyphs in a Tomb, caressed the stones on the Pyramids etc., you only have to take one of these wipes out to instantly clean your hands. No more looking for a washroom! Make up a small “medical-kit” before you go! Include things like safety pins, plasters (different sizes), antiseptic cream, diarrhoea tablets, headache tablets and sun cream (high factor advised). When shopping for bargains, keep your own currency and credit cards out of sight, and separate from your LE. if you can show that you have only a few Egyptian pounds in your possession! Plus, some traders may try and insist that they meant $ or £, instead of LE, if they see that you are carrying them. Wear sensible footwear when visiting the various sites. High heels and open toe shoes are not advisable. The floors of most sites are either sand or rough-cut, uneven stone. Inside many tombs, wooden floorboards have been installed, but thin heels could get caught in the gaps between the floorboards. Many monuments have signs that say ” No Flash Photography”, please obey these signs (you can be ejected from the site if you ignore the sign!). The very bright flash can cause serious damage to some of the ancient paintwork! If you are travelling by road to Abu Simbel, ask your hotel or cruise boat if they supply a “breakfast box”. Some hotels do this, as they cannot supply you with a breakfast before you depart. If they do not do this service, take some food with you, as hunger will set in before you reach Abu Simbel (a 3 ½ – 4 hour trip, each way!) Also, make sure you take plenty of water with you; it tends to be hot here and you can dehydrate very quickly. Ladies, if you intend visiting the inside of one of the pyramids, please wear trousers (or jeans). You may have to ascend/descend ladders and/or crawl through narrow passages. For the same reasons, I would advise men to avoid wearing short trousers. Public transport (town bus services, and in Cairo, the Metro!) in Egypt is very cheap, but try and avoid it if you can. You will only put yourself into an awkward position having many locals staring and talking about you. Taxis are not expensive so use these for travelling about town. Your hotel will let you know the best companies to use. When you have paid your entry into the Egyptian Museum and received your ticket (s), a “guide”, offering his services, will approach you. These “guides” are not employed by the museum, they are freelance. Most of the museums exhibits are not labeled, so the chances are, you will not know one from another. A guidebook is available from the museum, but it is up to you if you want to employ one of these “guides”. If you decide to do so, make sure you haggle for a good, low price, so that if he is useless, you have not wasted much money. You could even try and form a group of visitors to share the cost! To avoid this problem in the first place, ask at your hotel for advise on getting a proper guide! At most sites, especially if you are alone, or in a couple, a “guide”, offering to show you around, may approach you. To these people you should say “La Shukran” or “no thank you”! The Egyptian Government does not employ any guides at any of the sites and monuments! Again, ask at your hotel, for help, before you visit the site. Do not buy anything from the traders inside the Giza Plateau! The items they are trying to sell you can be bought a lot cheaper at places like the Khan El-Khalili. as they are not all genuine! Head for the main stables if you want a camel ride, or better still, arrange one at your hotel. Many people, to save money, use the express train service, Cairo – Luxor/Aswan – Cairo. This is a long journey, though it is comfortable (and the scenery is breathtaking!). Before boarding the train, make sure you take some food with you, as the supplies “on-board” run out very quickly and are not replenished. to help pass the time. Make sure you get the 1st Class, air-conditioned express train (normally, tourists have no option – the lower class carriages are for locals only!). They are non-smoking, but you can smoke in the entrance/exit area! Do not feel that 5 star hotels are always the best! There are many 3 star hotels, that are Egyptian owned and run, that offer the same facilities as the big multi-national ones, sometimes they offer a better service and in most cases, a lot friendlier! We, at Nile Valley Travel, advise against the idea of a felucca trip between Aswan and Luxor (Esna), unless you are really intent on sleeping under the stars, and eating food that is not of the best standard. Many of these little felucca tip over due to the strong wind and you will end up losing all your luggage in the bottom of the Nile. We recommend using big Cruise boats, they can do the same trip, with better sleeping accommodation and first class food! 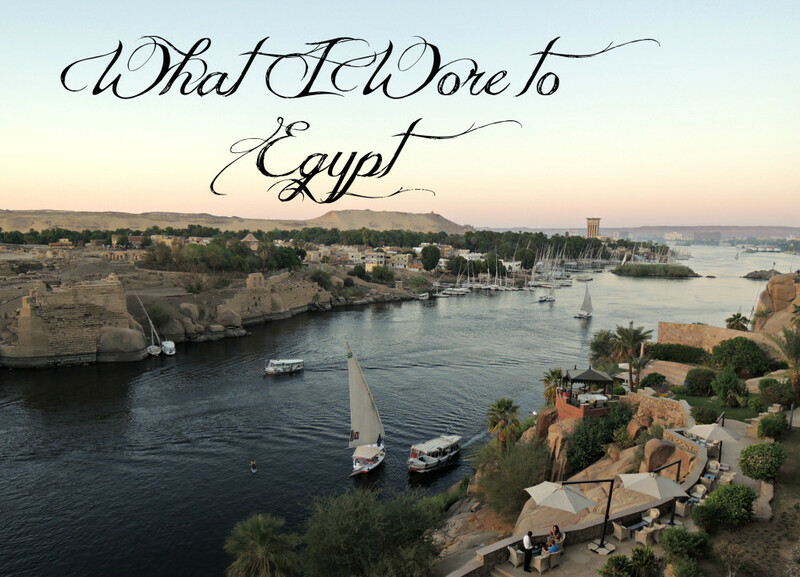 And finally: Please do not let this list put you off going to Egypt. It has been compiled from questions that people regularly ask, and complaints that travelers have experienced. This list of Egypt Travel Tips is to help make your visit as enjoyable as possible.